Blowout Sale! Easter & Spring Watercolor Pillow Covers for $5.99 (Reg. $24.99). 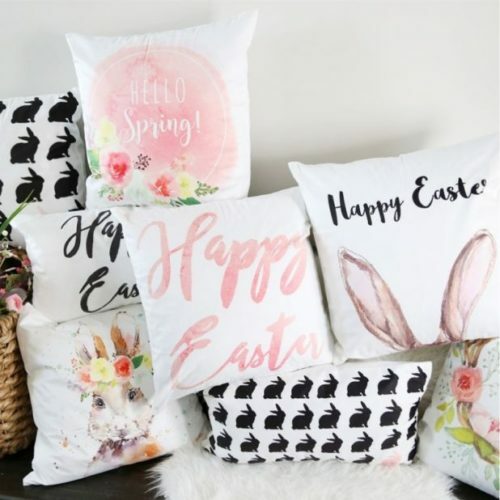 We are so excited about our newly designed Easter & Spring Pillow Cover Collection! We worked hard to find the perfect fabric to celebrate the beauty of the season. Our newest fabric is luxurious to the touch and a beautiful bright white with a super soft feel. All our designs are our very own designs that have been hand-drawn, water-colored, and printed on beautiful white soft covers. Our designs offer a fresh, modern look with a touch of vintage.